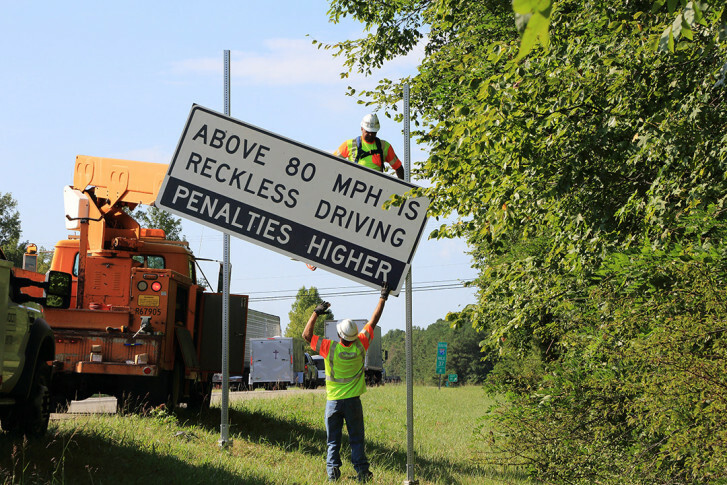 WASHINGTON — A series of changes to the rules of the road and what drivers pay are on the agenda when lawmakers return to Richmond next month. Sen. Scott Surovell, D-Fairfax, has proposed expanding the handheld cellphone ban to cover all communications devices including GPS systems, unless the devices are being used completely hands free. The bill would also elevate violation of the law from a traffic infraction to reckless driving if the violation is paired with another traffic infraction or leads to a crash. Reckless driving in Virginia can lead to jail time. Another Surovell proposal would end police pulling drivers over for having their view blocked by something hanging over the rearview mirror by making the obstructed view a secondary offense. Bills from other lawmakers could require drivers to stop and put their flashers on when a school bus is picking up or dropping off, expand the time period for counting repeat convictions for driving under the influence for the fourth time from ten years to twenty, and provide a path for neighbors of a highway who feel they need protection from noise but do not qualify under existing standards to lobby for sound walls or similar setups. Del. Mark Cole, R-Fredericksburg, has proposed making it easier to renew driver’s licenses by directing the Department of Motor Vehicles to consider any license that has only expired in the last 30 days to be valid for renewal. Del. Kaye Kory, D-Falls Church, has proposed allowing temporary licenses, permits and ID cards to people granted temporary permission to stay in the country under the Convention Against Torture. Under another bill, filed by Del. Gordon Helsel, R-Poquoson, local governments would have to require that any member of a fire department who drives an emergency vehicle has a valid driver’s license and has had training to operate it. Bills that could impact driver’s wallets include one that would add to the items mechanics must collect taxes on by requiring that sales tax be collected on all supplies bought and used for a repair rather than just the parts that are attached to the car when it leaves the shop. Another bill would raise the vehicle registration fee by $1.25 the first of each July from 2017 through 2026, with the increase designated for the Virginia State Police. Two bills related to different kinds of vehicle operators could lead to a few changes on the water and in the air. One proposal would create a database of boaters who have completed required boating safety courses so that law enforcement can check it if a boater is stopped. Another, from Sen. Dave Marsden, D-Burke, would give a local fire chief the authority to order drones out of the sky over a fire.